There’s an unwritten rule that lawyers dress well and are happy about it. However, in real life, unlike in TV shows, things are different. Being a lawyer doesn’t mean you have a natural ability to combine various outfits. It doesn’t mean that you want to waste money on fashion, either. In this post, we will give you a few tips how to dress like a lawyer. 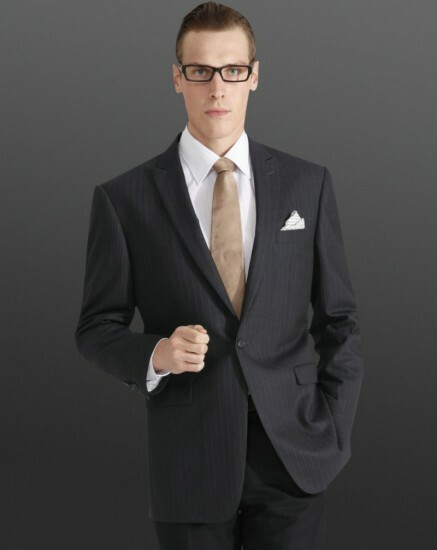 Many law firms have smart casual, business casual or business formal dress code. If you need to dress smart casual, this means that you have to look elegant. At work you can’t wear the same clothes you’d wear in a club. Your appearance needs to project confidence and seriousness. People need to know that you’re a professional in your field, when they see you. The idea behind smart casual outfits is to let you express yourself and be happy and productive at your work place. To dress smart casual, stay away from too bright, flashy colors, don’t wear too many layers of clothes and don’t choose accessories, which might distract attention. Dark and neutral colors are a great choice. For your smart casual outfits choose leather shoes. If your law firm has adopted the business casual dress code, this means that you can dress a little more casual than traditional business wear. Choose long-sleeve button down shirts or polo shirts made from cotton with patterns like Oxford, plaid or poplin. You can wear khakis, dress pants, trousers or corduroy pants. Always tuck your shirts in and pair them with appropriate belts. Pants should extend to the top of your shoe, or slightly longer. Dark, conservative colors are a great choice. Stick with black, brown, grey, khaki, dark blue and dark green. Business formal dress code means that you need to dress in a suit. Business formal wear also means that you can wear a suit without a matching vest. The suit should be made from silk or wool in black, navy or gray. If your shirt has any patterns, make sure you choose only very subtle patterns. Choose conservative ties in solid colors. Silk ties are a great choice. Also, choose leather shoes. Both slip on and lace up is acceptable. Most lawyers around their fifties dress plainly, so that nothing will distract the judge or the jury from intelligent arguments. Learn the various dress codes and follow them.